After a yearlong build out, the ROC center in Chinatown has finally come together and is now accepting tenants. Housed in an old noodle factory on Nuuanu Avenue (c’mon now, it doesn’t get any more quintessential Chinatown than that) the ROC center—aka Real Office Center—is a collaborative and private workspace offeringstartups and small businesses a place to work and grow without spending a ton on rent. The brainchild of Ron McElroy, the Chinatown ROC center is the sixth of its kind in the US and the first in Hawaii. The building, which takes up half a block on Hotel and Nuuanu, perches over Chinatown and Downtown, and is going to be a boon for the neighborhood. The office spaces, which range from small to large, are move-in ready and come furnished, with wifi, printing, and use of conference room. After meandering through the spaces myself recently, I was left with the feeling that this could be a huge step forward for Chinatown. A flurry of new businessines in our historical section of the city is going to be good for all of us. It means more customers in our stores, more patrons in our restaurants, and a new chapter for the city. 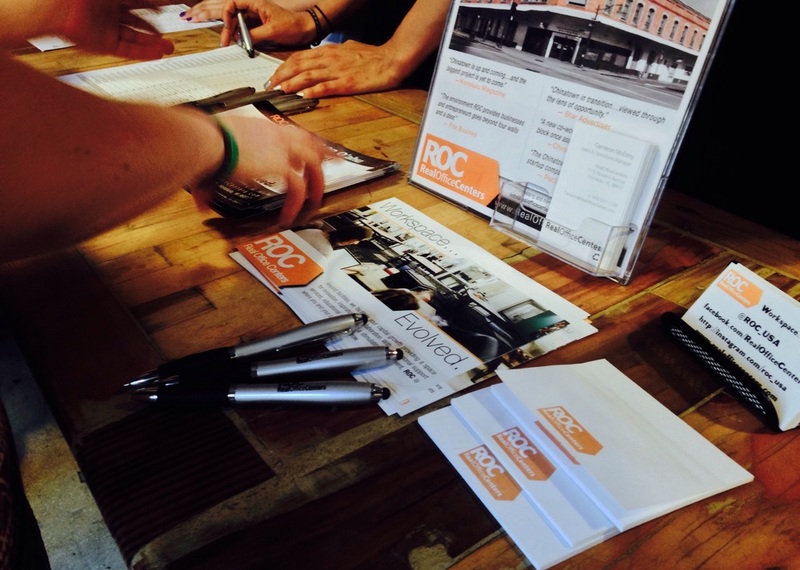 From a design standpoint, the ROC center feels like a perfect mix of hip professionalism. There’s even a courtyard ideal for mixers, which they’re planning on hosting regularly. And while a handful of businesses have already set up shop in the offices, there’s still plenty of room for new business who dig Chinatown’s vibe and want to be spitting distance from Downtown. Rents are currently ranging from $800 for a small two- to three- person officeto $3K if your business needs a larger suite. However, there’s more to ROC than just offices. In line with the growing retail and restaurant scene that’s taken root in Chinatown, the bottom floor of the building will be home to three new restaurants. The build out for these future hot spots won’t be finished until summer, but we’ve heard that there’s a certain bangin’ Mexican restaurant that rhymes with Cocina (okay, it’s actually Cocina according to PBN) that’s looking into the spot. So there will also be tacos. Sound like something you can get behind? Yeah, us too. For all inquiries, hit up Becky Beattie at Becky@realofficecenters.com. I said "Hey Babe, take a Walk on the Wild Side..."